Have you noticed small networks of red, blue, and purple veins on your thighs, calves, or ankles? They may be spider veins. Though mostly harmless, they may ache or burn, especially after standing for long periods of time. If spider veins are bothering you for any reason, get in touch with Dr. Kajal Roy, MD, at Niyan Medspa in Ashburn, Virginia. She can examine the spider veins and discuss treatment options. Call or book an appointment online to learn more. Yes, usually quite successfully. The most common spider veins treatment approach is called sclerotherapy. During this procedure, a fluid is injected into the veins, irritating them and eventually causing them to collapse. For the best results, some veins may require multiple injections. Another approach is laser therapy. Directing an intense beam of light at the veins causes them to fade over time. Laser therapy may be used in combination with sclerotherapy. Neither treatment option requires anesthesia and can be done in the office for maximum comfort. Talk with Dr. Roy about which option is best for you. Immediately following the procedure, you’ll probably notice some bruising in the treated areas, and you may experience some cramping. Dr. Roy may suggest that you wear support hose for three to six weeks. She also may prescribe topical creams or oral medication to prevent infections. In the first week following treatment, you should avoid sitting or standing in one place for more than an hour or so. You should avoid squatting, running, or lifting heavy objects. Walking, however, can help the healing process. Within one month, you’ll notice that the bruises have healed and the veins are considerably lighter. You’ll be able to exercise more vigorously, though sitting or standing for long periods of time is still not a good idea. At the two-month mark, the healing is complete. Over the next few months, the veins will continue to fade until they’re barely visible. Unfortunately, spider veins do tend to come back. Dr. Roy will monitor your progress and suggest further therapy if needed. 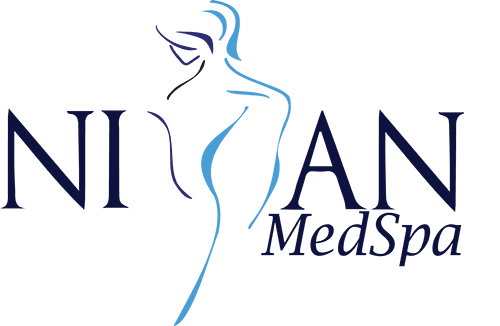 If you have any questions about spider veins, don’t hesitate to call Dr. Roy at Niyan Medspa, or book a consultation online. She’ll be ready to discuss available treatments with you.